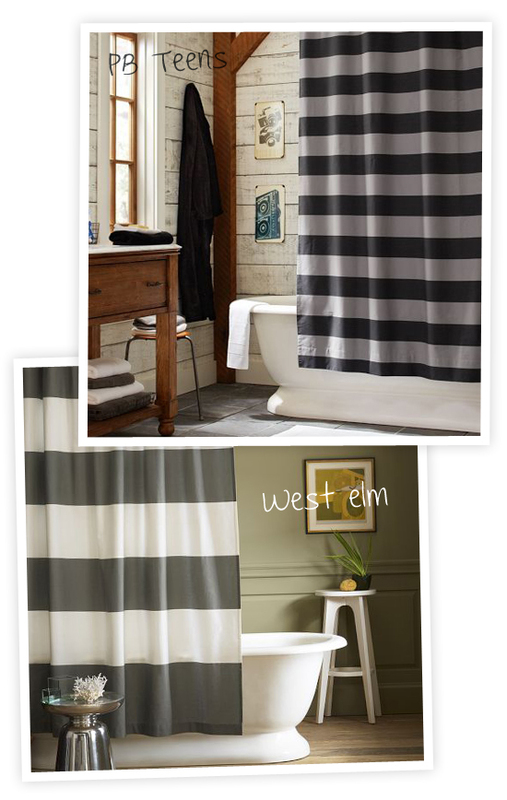 What do you think of these stripe shower curtains? I find they look really cool in a cottage style bathroom (I'm totally into mixing b&w stripes with more rustic environments after falling in love with this). I'm picking this Rugby Stripe Shower Curtain from PB Teens and this feather gray one from West Elm. P.s. Some stripes in the bedroom as well..
4 comments on "Stripe shower curtain"
Πραγματι δινουν εναν ιδιαιτερο τονο στον χωρο.